Pest inspection is one of the most important parts of buying a property. Knowing that Your new home is free of pests, would mean that it has the potential to be as comfortable as possible. Homeowners have so many Jobs to keep up to make sure that everything in their household runs smoothly. Ignoring pest control especially in your own household can cause a substantial amount of damage in the future. Prevention is always better than regrets. With pest control, a property owner can feel more confident about their home being safe from pests like termites, rat, cockroaches etc., running around their property. Written below are three out of a million reasons why you should never ignore having a pest control. Food is always present in a household. Contaminations caused by pests such as mice, flies and cockroaches result in health problems. Some conditions like Salmonella, Hepatitis and E. Coli are caused by pests that have contacted the food. These foodborne illnesses can be fatal if not treated or prevented. The hazards that correlate with pests enter food in one of two ways: direct contact of the filth into food or food-contact surfaces by the metabolic products released by those pests and the bacterium that they carry. When you talk about pests, people mostly refer to bugs, but rat infestation also exists. Rats are attracted to many kinds of food, even the garbage in our home or neighbourhood. If you ask yourself, would you let rats become your housemate? 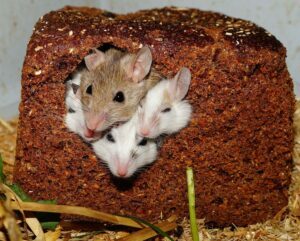 Rats have a fast rate of reproduction, and also, houses have small access points that rats use to create a breeding environment. Once they explode in population, rats will start to damage your furniture, leave dirt on the corners of your home; go through your food that could cause contamination and chew the electric wiring that can also result to accidental fire. Once tolerated, rats make the most of your household that could harm you in many ways possible. Your house will most probably become sawdust. It would take a long time for anything serious to happen, in all seriousness. Thus, it does not mean than you should take it for granted. Termites live from the cellulose of wood, and your house has vast amounts of this material, they will go for it and chew it. If you plan on selling your property in the future and termites were found after an inspection, it worth will lessen a lot. Having your property free from termites by having it controlled will make a very big difference. Most home or property owners tend to ignore having pest inspections and pest controls in the belief that the pests will move out on their own, which is false. Some make DIY ways to lessen them but with no professional help. Rats and other rodents are notorious for transmitting over 35 diseases that affect both humans and pets all over the world by contaminating food and water with their hair, saliva, faeces and urine. Such diseases include salmonellosis, leptospirosis, plague and tularemia. Aside from diseases, rodents can also cause further damage to humans by weakening building structures by gnawing through lead and aluminum sheeting and chewing through electrical wirings, possibly starting fires. Norway rat (Rattus Norvegicus) – otherwise known as the brown rat, sewer rat and wharf rat. This species of rats have stocky body and are slightly larger than the roof rats. They have blunt nose, small and close-set ears which do not reach the eyes when pulled down. They have scaly tails that are shorter than the head and body combined. They are covered with coarse, brownish, reddish-grey or blackish fur on top and whitish grey under their bellies. Roof rat (Rattus Rattus) – also known as ship rat or black rat. These rats have slender bodies, and tails that are as long as the head and body combined. House mouse (Mus Musculus or Mus Domesticus) – They are small and slender, with slightly pointed noses, black protruding eyes and large, scarcely haired ears. Adults weigh about ⅖ to ⅘ ounces. Their tails have obvious scale ring and are nearly hairless. They are mostly grayish-brown with a gray belly, while jumping mice have white bellies. Some are white-footed. Sense of Hearing – Since Norway rats have poor eye-sight beyond three or four feet, they use their hearing to locate objects within a few inches. Their range of hearing (50 kilohertz or more) is much higher compared to that of humans, which is about 20 kilohertz only. Combined with their excellent touch sensitivity, they can sense when someone shifts position in bed within a six inch area. Sense of Taste – Rats have an exceptional sense of taste. They have the ability to distinguish contaminants in their food at 0.5 parts per million. This eventually leads to bait rejection as their highly sensitive taste will allow them to detect insecticide odours or other chemicals. Sense of Touch – Adorned with highly sensitive body hairs and whiskers, Norway rats have an extremely developed sense of touch, allowing them to explore their environment with much more caution and precision. Rodents generally like to move along walls as they prefer a stationary object on at least one side of them. The Health Act of 1911 requires property owners and occupants to take action in preventing rats from harbouring on their property. Talk to your neighbours to see if they have the same issue. Report any rat sightings to your local council and seek for advice on the necessary control measures, or simply contact our friendly team at Defence Pest Management for further advice. Rats and mice are undeniably a nuisance for homeowners. Not only do they bother you with their noisy movements when running around the ceiling, they may also attack your food storage, and cause damage to property. Rats, most especially, can chew on books, newspaper, clothes and even furniture. This is the reason why you can’t leave rats and mice lingering in your property, as an infestation can lead to huge costs of damage. Most of the time the presence of rats and mice are associated with poor sanitation in a property. This isn’t necessarily true, however. Rats and mice love your home for the shelter it offers, especially for the warmth during the colder months and rainy season. Their access to your food supply and water will also attract them and make them want to stay longer in your place – which is usually the beginning of an infestation. When the rats and mice find a comfortable place with enough food and water supply, they can multiply in a short time and before you know it, your ceiling may already be their apartment. These pests can find access to your home through openings around the windows and doors, and holes in the roof. And their favourite place? The roof void. Rats and mice normally travel around the house at night, making it hard for you to spot them and notice the start of an infestation. If you find them running around during the day, it may most likely mean they have multiplied in big numbers that they need to scout for more food. • Crawling movements and sounds from the ceiling – most often this is heard at night, but it can also be heard at random times during the day ,especially when they are trying to find some food. • Rat droppings and urine stains – you may find this just almost anywhere around the house, but some of them may have favourite spots, where you will often find the droppings. • Chewed wood, paper, clothing and food – perhaps the most obvious sign of a rat infestation. You may even find scattered food crumbs or chewed items in another area where you don’t normally leave them. If you have found signs of rat infestation, you may want to check with us at Defence Pest Management for a pest inspection. This will help you determine the degree of infestation and what steps you can take for treatment and management. Since they are dry and warm, roofs are often very popular places for pests to hunker down and make themselves at home. If you’ve been hearing the telltale scurrying and pitter-patters of small animal feet overhead, then there’s a very good chance that you have a problem in your roof. Even if the noises don’t bother you all that much, ignoring the problem is the last thing that you should do. Beyond the irritating noises that they can make above your head, pests can cause many nasty problems when they make your roof their home. For one thing, their droppings and nests can attract a huge range of different insects. Suddenly, you don’t just have a mouse or rat problem – you have a raging insect infestation up there, too. Those nests and droppings also pose very serious fire hazards, increasing the risks of your home being consumed in a fire. Brown Rat Droppings – Averaging between ¼ and ½ inch in length, brown rat droppings are also blunt and spindle shaped. Black Rat Droppings – At ½ to ¾ of an inch in length, black rat droppings are a bit larger than brown rat droppings. They are usually shaped a bit like sausages and are pointed. 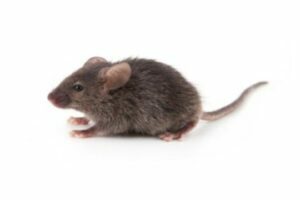 Mouse Droppings – Measuring less than ¼ of an inch in length, mouse droppings are usually quite thing. They are also spindle shaped and have pointed ends. Bat Droppings – At approximately ¼ of an inch in length, bat droppings are typically dark brown or black and look a lot like mouse droppings. However, they are very dry and crumble away into dust when crushed. Although there are traps and other things available commercially, it is always best to bring in a pest control professional whenever you find evidence of pests in your roof. Having a pest inspection team handle things ensures that the problem is completely resolved and that you don’t have to expose yourself to any risks or dangers. It is well worth the money to have the professionals do this job, and you’ll be glad that you did. One of the most dangerous pests that could infest your home or business is the Norway rat. This rodent is considered to be the largest of the pest species, weighing around half of a kilogram as it reaches adulthood. This pest is a good climber and swimmer, so you can expect it to be very good at surviving in worse types of environments such as a garbage dump or the sewers. What makes infestation worse is that this rat tends to reproduce quite fast, making around 6 litters every year, with each litter averaging 8 to 10. 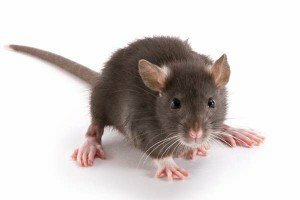 If your property is suffering from infestation from Norway rats, our pest specialists at Defence Pest Management can bring you the best solution to your pest problem. Norway rats can cause serious problems in your property. Although they prefer quiet and undisturbed places, they will forage on human food if they get the chance. They are known to infest food factories, supermarkets, farms, garbage dumps and any other place that can provide them with food, water and security. Norway rats are omnivorous, so they can eat anything that people eat. 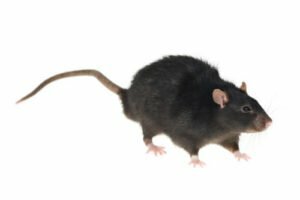 If you happen to spot Norway rats on your property, whether through droppings, gnawed items or if you physically spot the pests, it will be best to contact us for professional pest inspections. Our thorough pest inspection of your property will give you an accurate assessment of the existing problem in the premises. A bigger infestation may be lurking in the dark, but with pest inspection, you will have a good idea of the extent of the problem. At Defence Pest Management, we can provide you with the best solution to take care of Norway rat infestation. Always, the first part of controlling any type of pests is sanitation, which will stop the supply of food and water to the pests. We will also make sure that there are no available entries for the rats to come from the outside. Adult rodents may be physically trapped and captured to diminish the population of the pest. In other cases, it will be necessary for us to use chemical fumigation and control to eliminate the Norway rat population. We only provide the best professional pest control services, so you can rest assured that your Norway rat problem will be dealt with in no time. We only use the latest technology in inspection services as well as in pest control and management.